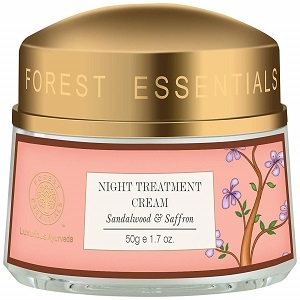 Night creams, as the name suggests, are creams that have to be applied and left on overnight. Unlike day creams, which are formulated to protect the skin from the harmful rays of the Sun and the pollution, night creams are designed to nourish and repair your skin. These creams work while you sleep to give you clearer and smoother skin. Could there be an easier way to get glowing skin? We don’t think so! What Kind Of Night Creams Should You Use? While choosing a night cream, it is important that you choose the one that suits your skin type. Whether your concern is dullness, dry skin, oily skin or ageing, there is a night cream for you! We give you the best night creams you should be using for your skin type! If you have any of these concerns, then you should definitely invest in the best night cream for glowing skin. Also Read 9 *Natural* Face Cleansers To Make Your Skin Glow! This cream is a godsend for oily skin. It targets sebum overproduction at night to give you clear and acne-free skin in the morning! Price: Rs 3,539. Buy it here. 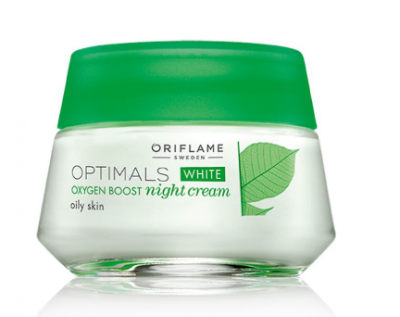 Oriflame’s night cream for oily skin will work wonders to reduce that shiny look in the morning. Use it every night after cleansing your face to see visible results. Price: Rs 590. Buy it here. 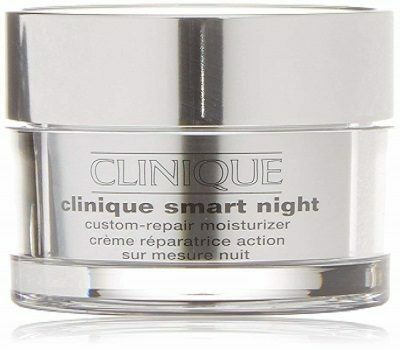 To obtain fast results, get yourself this night cream from Clinique which is specially formulated for oily skin. You will start noticing results in two weeks. This cream also looks after wrinkles, dark spots and fine lines. Price: Rs 9,999. Buy it here. Prepared with skin-nourishing ingredients such as alpha hydroxy fruit acids from grapes, ginseng, and lily nectar, this night cream from lotus herbals pampers skin in the best way possible. It recovers the skin damage and refreshes the skin with its overnight care. Price: Rs 455. Buy it here. 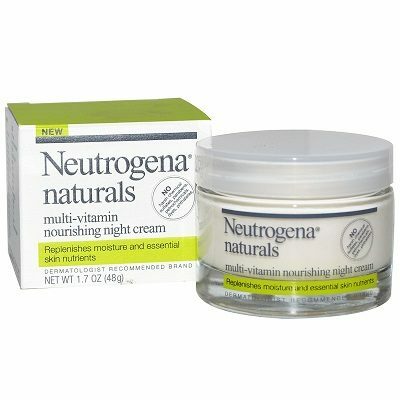 If you have dry skin, then you need a night cream with a high moisture content. Choose one that will replenish your skin as you sleep and keep it hydrated and moisturized through the day! 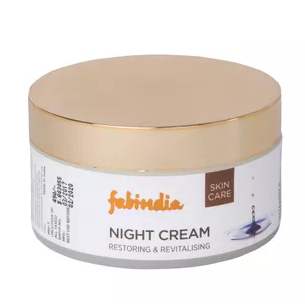 Fabindia’s night cream is enriched with vitamin E, which is amazing for healing dry skin. Use this on your face every night before you go to bed and wake up to healthier skin! Price: Rs 450. Buy it here. 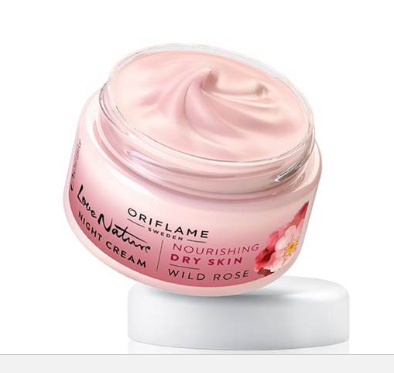 This night cream from Oriflame is especially formulated for dry skin. It will nourish your skin and leave it softer and smoother. We recommend you use it during the winters to keep your skin supple and hydrated. This is the best drugstore night cream. Price: Rs 373. Buy it here. This night cream for dry skin contains collagen boosters which refreshes skin and fades away the dull look. It also carries luminizing pearls which brightens the skin tone and enhances the natural glow. Price: Rs 840. Buy it here. 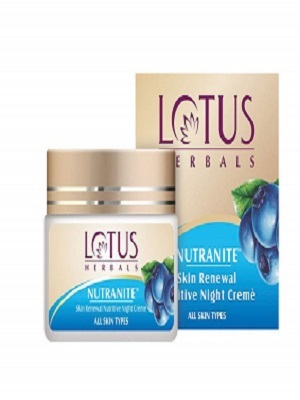 This non-comedogenic night cream is ideal for dehydrated skin which lacks moisture. It also reduces fine lines and wrinkles leaving the skin smooth and soft. Price: Rs 967. Buy it here. Dark spots can really make your skin look unhealthy and sallow. If you want to give your dull skin a boost, try using these night creams to give your complexion a healthy boost! After a hectic day, your skin starts to show signs of fatigue. 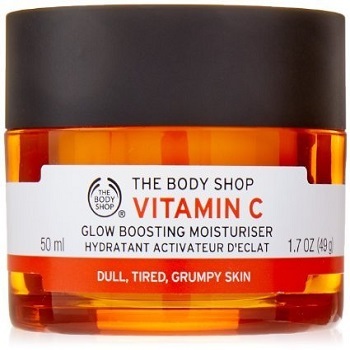 This moisturizer from The Body Shop combats that look of dullness by giving your skin a glow boost! This is the best night time moisturizer for the skin too. Price: Rs 1,845. Buy it here. Forest Essentials brings together two of the most powerful ingredients for skin brightening - sandalwood and saffron. Both of these are used traditionally to rejuvenate dull skin and this night cream is therefore perfect for everyone who wants to heal and brighten their dull skin. Price: Rs 2,575. Buy it here. Prevention is better than cure, isn’t it? Even if fine lines and wrinkles are not an immediate concern for you, we say you work ahead to prevent their onset with these best anti aging night creams! Olay’s night cream contains anti-ageing ingredients such as vitamin E, provitamin B5, green tea extract, allantoin and glycerin to prevent the appearance of fine lines and wrinkles and keep your skin smooth. 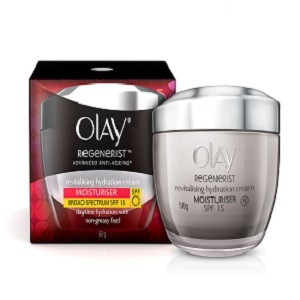 This is also the best anti aging cream for oily skin. Price: Rs 1,399. Buy it here. 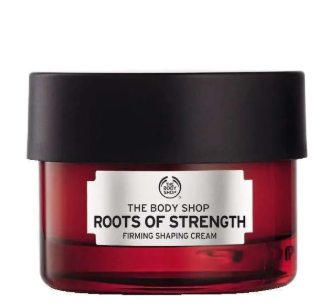 For firm and youthful skin, try The Body Shop’s firming night cream. 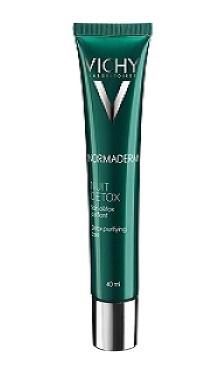 It hydrates your skin and reduces the appearance of fine lines to give you smooth and soft skin. 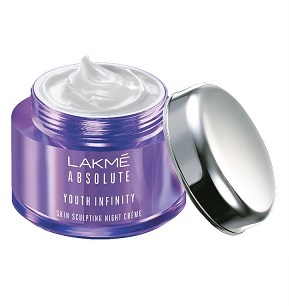 This is the best night cream for wrinkles which you should add soon to your beauty regime. Price: Rs 1,795. Buy it here. 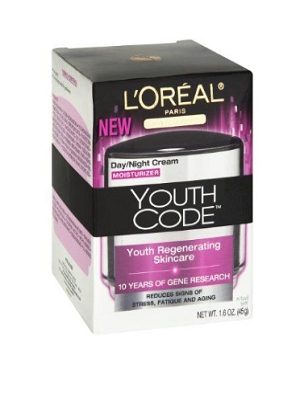 This anti ageing cream by L’Oreal is like a magic serum for ageing skin. Along with reducing ageing signs, this cream hydrates the skin too. It is soothing on sensitive skin and can be applied before going for swimming as it won’t sting your eyes even after being wet. Price: Rs 6,172. Buy it here. Also Read Get Gorgeous While You Sleep: 7 Overnight Skin Care Essentials! When Should You Apply Night Creams? 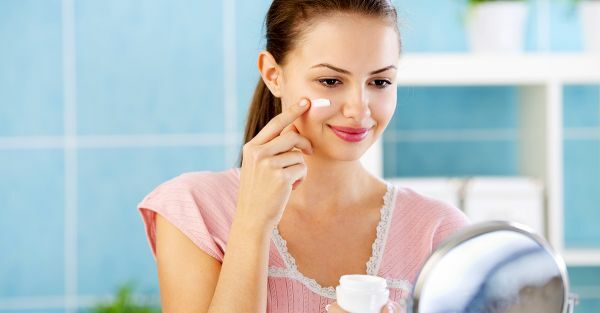 Most night creams come with specific instructions on how and when you should apply them. As a general rule of thumb, they have to be applied every night after cleansing. Since night creams are heavier, they should be applied after you have applied your spot creams, serums and under eye creams. We think it’s an important step to add to your skin regime by the time you hit your mid-twenties to keep your skin look fresh and healthy always. Well, there you have it! Go ahead and buy a night cream that works for your skin type and see the difference. This story was updated in March 2019.